Actress, singer, dancer, choreographer, and teacher Elizabeth Seal has had a long career on the stage. 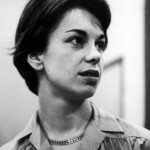 Though she is best known in the UK, she made a name for herself on Broadway in 1960, when she wowed audiences in the musical Irma La Douce and snagged the Tony® for Best Actress in a Musical. Born in Genoa, Italy, in 1933, she showed talent already as a child and earned a scholarship to study at the Royal Academy of Dancing when she was just five. In 1951 she made her London debut in Gay’s the Word, a musical by Ivor Novello and Alan Melville. A few years later she made her mark in two American musicals transplanted to London, playing the comely secretary Gladys in The Pajama Game (1955) and the sinfully seductive Lola in Damn Yankees (1957). A turning point in her career took place in 1958, when she landed the title role in Irma La Douce, a musical about the love between a struggling law student and a much-in-demand prostitute. Originally produced in Paris in 1956 (music by Marguerite Monnot, French lyrics and book by Alexandre Breffort), it crossed the Channel two years later, with revised lyrics and book by Julian More, David Heneker, and Monty Norman. The male lead was taken by Keith Michell (later to star as Henry VIII in the BBC multi-part dramatization of the lives of Henry’s unfortunate six wives), and the show was a spectacular success, enjoying over 1,500 performances in London. In 1960 Seal brought her athletic performance and killer legs to New York, where she and Michell reprised their roles in the Broadway production, which also featured Fred Gwynne (who later achieved television stardom as Herman Munster) and a young Elliott Gould. 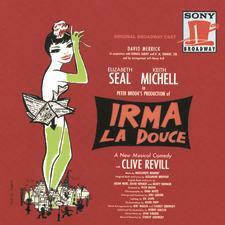 On Broadway, Irma La Douce played for 524 performances, and Seal was awarded the Tony® for Best Actress in a Musical. Columbia released an original cast recording. Seal returned to Broadway once more, in 1983, playing in the short-lived drama The Corn Is Green. Her later stage credits in the UK include Cat Among the Pigeons (original cast), The Recruiting Officer, Cabaret (Sally Bowles), Chicago (Roxie Hart), A Little Night Music, Who’s Afraid of Virginia Woolf? (Martha), Stepping Out, Hay Fever, Salad Days, Exiles, and Mixed Doubles. Starting in the 1980s Seal turned her attention increasingly to teaching and directing; she also made a name for herself as a choreographer. Seal appeared in a few movies, beginning with the thriller Radio Cab Murder (1954). Later she played in another murder mystery, Town on Trial (1957), and the 1960 aviation drama Cone of Silence (not an allusion to the not-yet-produced comedy series Get Smart). She also had parts in Vampire Circus (1972), Mack the Knife (1989), and Lara Croft Tomb Raider: The Cradle of Life (2003).